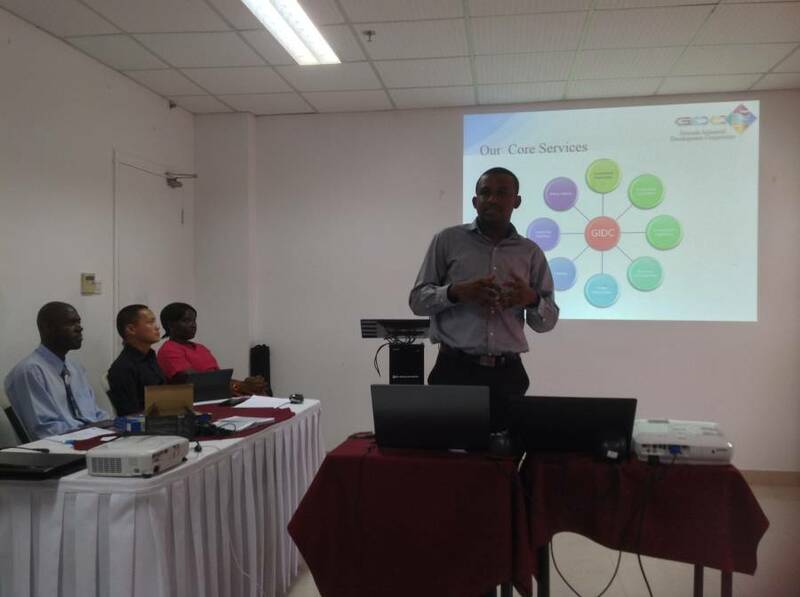 GIDC’s Information Systems & Technology Specialist Keron Noel explained that ICT is a growth sector as identified in Grenada’s Investment Promotion Strategy, with Clear Harbor and KM2 Solutions being two ICT investments facilitated by GIDC. He then invited three local entrepreneurs to speak on opportunities in the sector. Christian Chu Fook, CEO of ModOne Inc.
Christian Chu Fook, CEO of ModOne said that the company opened in 2006 with himself, EC$5,000, one computer and one customer — the GIDC. He described the ICT sector as relatively inexpensive and accessible, with stable internet connectivity. Chu Fook believes ICT needs to be used more to provide innovative solutions which can lead to economic development across all sectors. 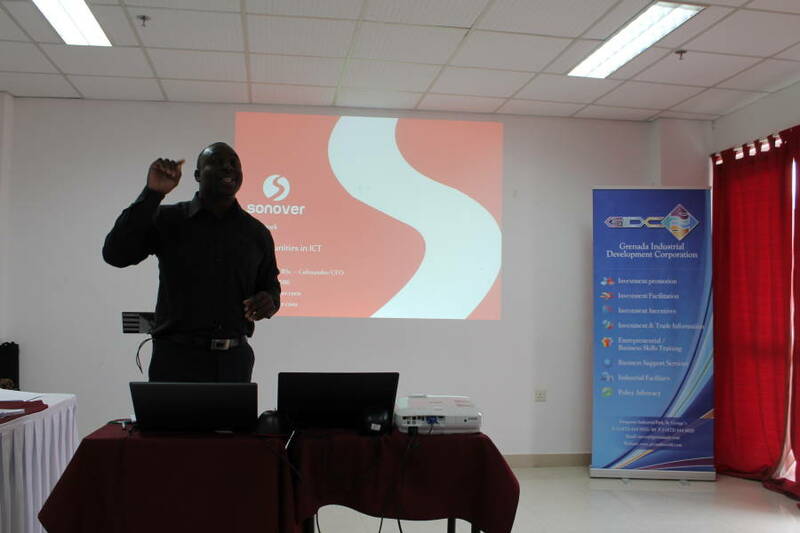 Sonover’s co-founder Chad Fraser recalled demonstrating passion by writing code late into the night while attending St George’s University (SGU), which later became his ‘office.’ “We didn’t even have a chair, much less an office. We used the SGU Lab,” he shared. Fraser spoke of the challenges he and his associates faced. “There weren’t many opportunities. It was difficult to find companies to trust you. It took time before we could develop the quality,” he said. Freelance web developer Rhondel Wilson also had to hone his skills while waiting on opportunities. 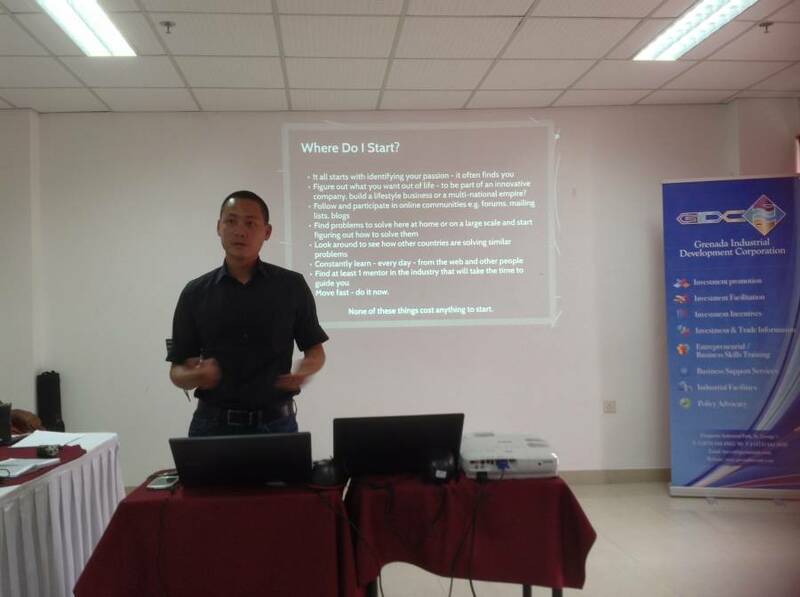 He was innovative and used online resources such as Twitter and Fiverr to find jobs. Despite having promising opportunities “dry up”, Wilson persevered. “When you try things, things will work out for you,” he told the audience. GIDC’s Keron Noel closed by encouraging Grenadians to “prepare yourself and go and get the opportunities. 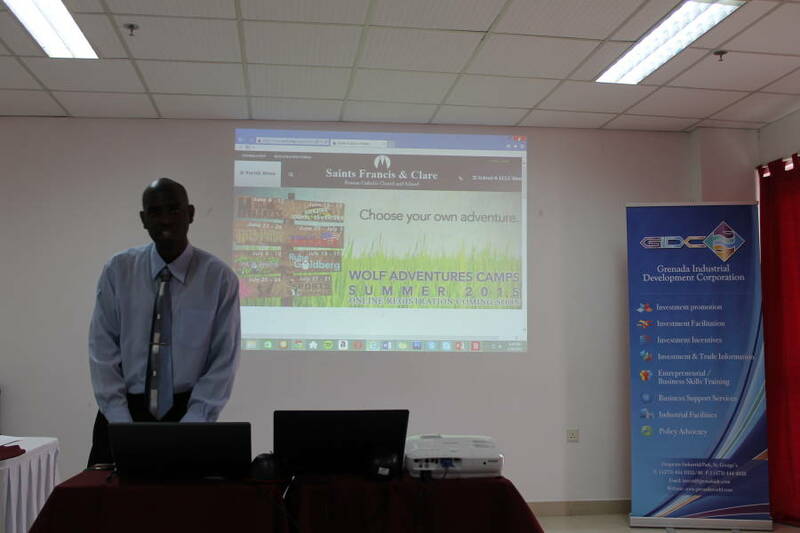 All you need is the drive and determination and you can get anywhere,” said Noel, noting that he, Chad Fraser and Rhondel Wilson are graduates of SGU, supporting his earlier call for local businesses to use local ICT professionals, as they have the expertise. GIDC’s participation in ICT week formed part of its 30th anniversary milestone being celebrated under the theme “Enhancing the investment climate with renewed focus on economic growth through strategic planning and partnerships, entrepreneurial development, and effective execution of investment policies.” Other planned activities include an Investment Forum in April, a Deals Day at the Frequente Industrial Park in May and a Business Clinic at Carriacou & Petite Martinique later this year.